Discussion in 'General Tundra Discussion' started by csuviper, Aug 26, 2014. Has anyone did the Backup cam always-on/anytime mod? If so how? You can get the FRAC harness from @TundraTex. Its awesome! I love mine! TundraTex and PapaRoe like this. I’m looking for onboard air. Where have you all located your air compressor? Bappa and 831Tun like this. Very welcome! I try to help any way i can even if I don't have what others are looking for. My list of mods is ridiculous! Bannock452 and 4x4_Angel like this. "Cigarette lighter plug always on". 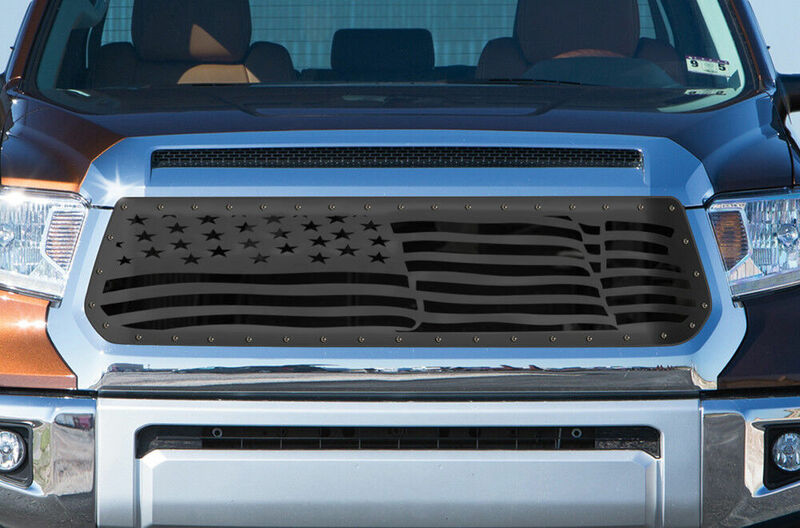 I saw these flag grills the other day. Not sure if it has been posted before. Patch999, dmiller, Skippy and 3 others like this. 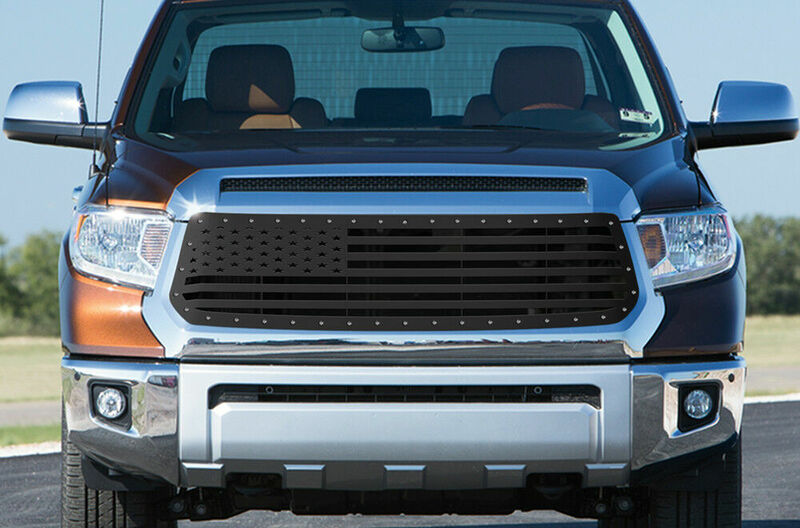 has anyone pulled the spare and mounted in the bed maybe on the rails? I built a little mount over the fuse box (pass side), it does vibrate a little when it runs, but it's only for a few seconds every three or four days. If you'll notice the last line of the OP's first thread is a link to a detailed write up and pdf instructions. I used them to add the mod to my earlier Tundras. I just bought a 2109 and plan on doing it again. The OP's link is dead, but I did save a pdf copy of it. I reached out to T-Rex226 and was told that we can't upload pdfs. I tried converting it to Word but can't copy & paste it here. If anyone wants to give it a try, shoot me a PM. Any link on how to use the screen for the front camera and images from your phone? The horns are pretty cool. There's also one called the "Bad Boy Max" that is much louder. Did you put two in? or just one?